DUNKIRK — The Benjamin Prescott Chapter of The National Society of the Daughters of the American Revolution met recently with guests from the Sons of the American Revolution. Regent Brenda Johnson performed the opening ritual. Antoniette Sherman read the DAR President’s Message and Kari Wendel read an article about displaying the flag properly, since Flag Day was June 14. Secretary Myra Johnston read the minutes from the previous meeting. A cake was served in honor of Lisa Sedlmayer’s 40 years of service to the Daughters of the American Revolution. 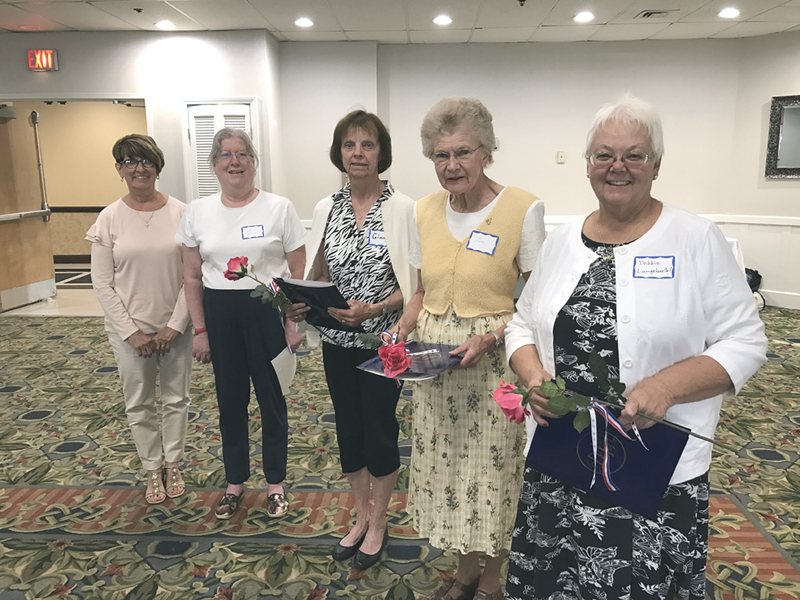 Brenda Johnson, Regent, conducted the official ceremony to induct three new members into the Benjamin Prescott Chapter of the Daughters of the American Revolution. 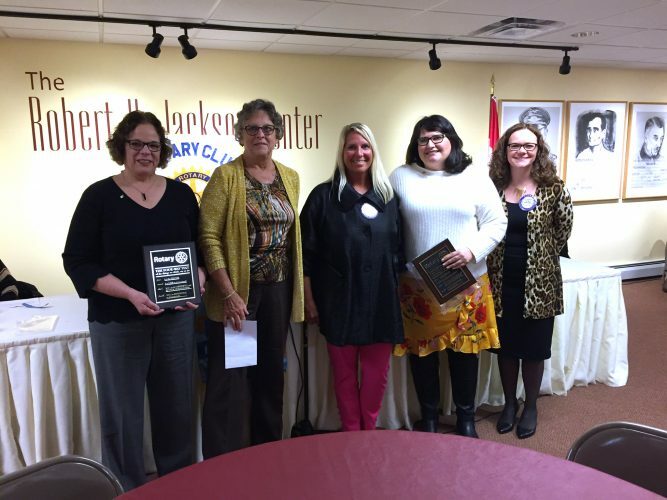 New members are Ginny Titus, Deborah Langebartell and Lois Sanderson. On June 5, Junior ROTC Cadet Taysmarie Otero was presented a DAR medal and $100 scholarship by Brenda Johnson, Benjamin Prescott Chapter DAR Regent, at a banquet held at the Dunkirk High School attended by several organizations honoring the accomplishments of the students. 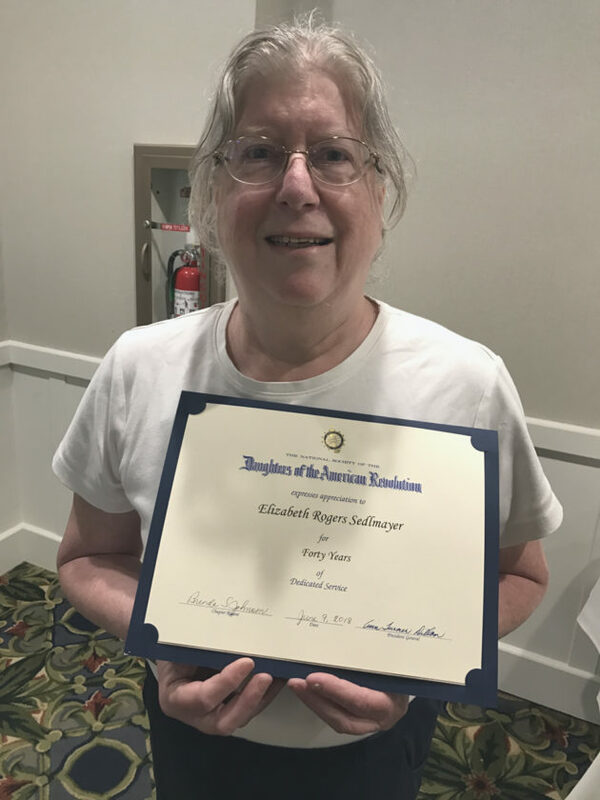 The chapter is planning its 120th anniversary in 2019 and many members are planning to attend Continental Congress in Washington, D.C., from June 20 through June 24 and the 129th New York State Conference in Rochester in September. After adjourning, members heard a program about Lafayette presented by Steve Boothe from the Chautauqua County Sons of the American Revolution. The next meeting is a trip to Seneca Falls and Auburn on July 25. Aug. 16 will be the summer picnic in Mayville. Those who had an ancestor who fought for freedom in the Revolutionary War and are interested in joining the Prescott Chapter of the Daughters of the American Revolution can call Dawn Ubaney at 679-1218.